Photography by Dante Fontana, © Style Media Group. Pizza is never just pizza. In a 2011 interview, Supreme Court Justice Antonin Scalia once suggested Chicago deep dish should not be called pizza and instead be referred to as “tomato pie.” In 2012, The Daily Show’s Jon Stewart did a five-minute rant in reaction to footage of Donald Trump eating New York pizza with a knife and fork. 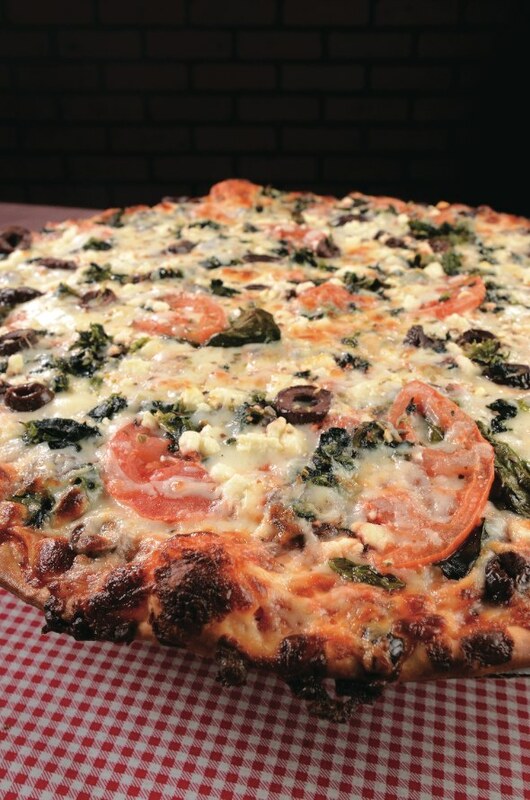 It’s never ever just pizza – unless you’ve never had good pizza. In which case we say: “Pick a side. This is war!” Not really. But we are going to help you find your personal pizza style. We’ve gone to the top of the mountain in search of knowledge – to three local pizza chefs who specialize in New York-, Chicago- and artisan-style pizza, and found out what makes them and their pizzas unique. So put on your helmet and grab a handful of napkins. It’s about to get real. 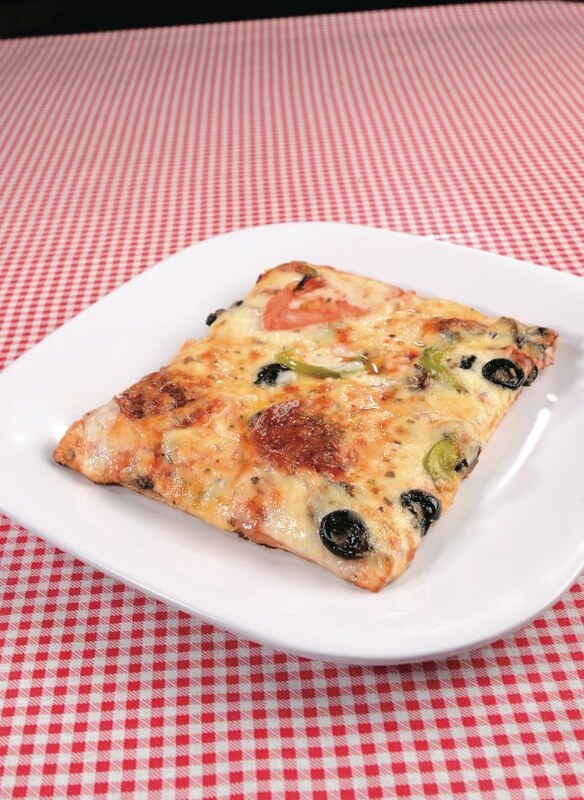 There are two main Chicago styles of pizza: deep dish, baked in a high-sided oiled pan that looks like a large cake tin, with cheese on the bottom and a deep layer of toppings; and thin crust, which is firm and crunchy and traditionally cut into squares. Pan pizza is not the same as deep dish. Pan pizza usually has a “puffy” focaccia-like crust, and does not have the longer cook time associated with traditional deep dish. How long have you been making pizza? I have been making pizza the way Rosati’s does for seven years. There is a lot of variety here, and tiny things make big differences if done correctly. I’m the owner and try to never leave the pizza-making line. I think it’s fun but also critical to be certain we never miss those tiny details. What makes a true Chicago-style pizza? I think true Chicago pizza is one of two things: the authentic deep-dish styles, which are dense, heavy weight pizzas; or the thin crust, which is a crisp-type thin crust cut into squares. You can’t skimp on quality cheese and you must balance the ingredients to be sure you are getting the correct taste blends. Most people think of only deep dish when they think Chicago, but the thin crust outsells everything – if done in a baker’s oven correctly. 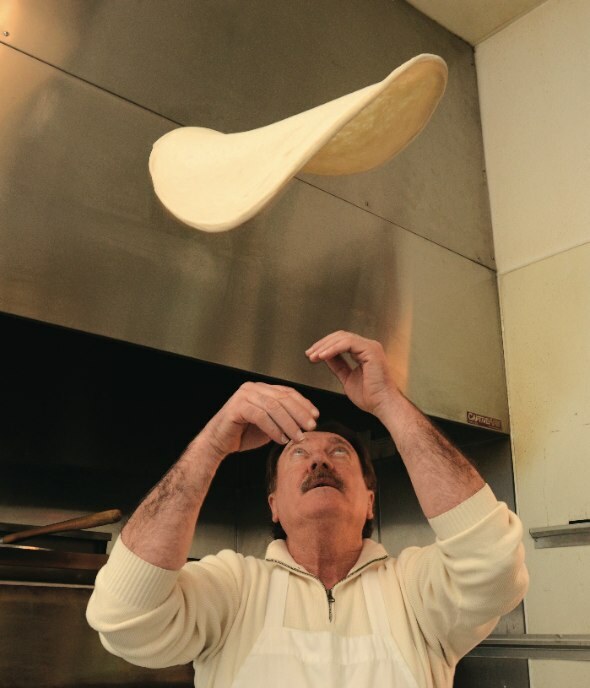 What’s the secret to pizza perfection, in your opinion? The primary secret is the sauce. I don’t care what anyone says, Rosati’s has the most evenly blended custom sauce and it is the biggest difference for any pizza. Crusts can have some variation and you would be okay, but if the sauce is watery or bland or too one-flavor, you will notice it and not like the pizza as much. Even wood-fired pizza can be awesome, but if the sauce is just so-so, then the wood firing can help a crust, but not the sauce. I think sauce is the biggest focus of truly liking the taste of someone’s pizza. After sauce, I think the cooking methodology is critical (i.e. baker’s ovens and wood-fired places). Also, I think paying attention to tiny details, like how much outer edge is left makes a huge difference; the little things add up. What’s your biggest “don’t” when it comes to pizza? Are there any cardinal sins in pizza making? I have one primary customer cardinal sin: If you went to Italy and asked for ranch dressing for a pizza, I think you would be expelled from the country! Why would you get excellent pizza and drown it in ranch dressing? Do people ask for ketchup at Ruth’s Chris for a steak? I tease customers when they ask for ranch. The second cardinal sin is on the pizza place, and noticing how much attention is paid to even-ingredient distribution. People pay good money for their pizza here and every possible detail is watched to be sure they get their value. Dating all the way back to 1905 in Little Italy, New York-style pizza is traditionally light on sauce, with a flexible, foldable crust. It’s classic street food that’s designed to be eaten on the go or one-handed (if you’re a sit-down type). Just don’t think about using a knife and fork. There’s a popular myth that New York pizza crust gets its distinct flavor from New York City tap water. Far be it from us to question New Yorkers. Did we say myth? 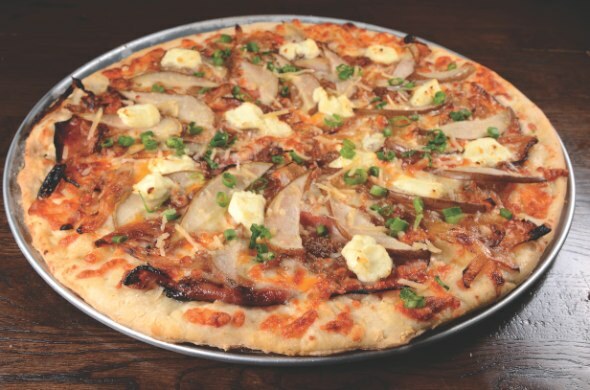 We’ve been making pizzas for 27 years – nine in New Jersey and 18 in California (split between the Bay Area and Folsom). What led you to specialize in New York-style pizza? I am originally from New York; my husband, Joe is from Italy, but landed in New Jersey, so this is the only pizza I’ve ever really had, and according to Joe, it’s comparable to what you would find in Italy. What makes a true New York-style pizza? True New York pizza starts with the recipes originating in New York, which makes a thin and chewy, foldable crust, a light, flavorful sauce, and being topped with only 100-percent whole milk mozzarella. When pizza originated in New York, it was only cheese topping - all the other toppings were added as it became more popular. The secret to pizza perfection is the pliable crust, along with the right amount of cheese and sauce, and cooking it in an old-fashioned gas oven. This is a pet peeve of my husband’s: People eating pizza with silverware! 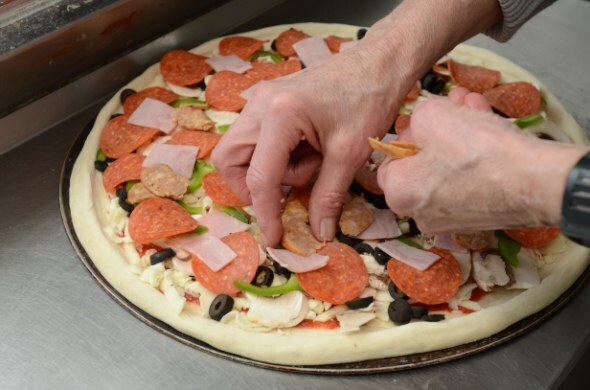 There’s no need for silverware, because your hands are only touching the bottom crust of the pizza! We cringe every time anyone asks for silverware! And pineapple on pizza? We don’t even have pineapple listed on our menu as an ingredient, but we want to make everyone happy, so we do have it! If/when you make a pizza for yourself, what’s your topping of choice? When we make a pizza to take home, it’s always the combination (sausage, pepperoni, mushrooms, ham, olives, onions and green peppers.) Its combination of toppings is amazing! We were written up for this particular pizza in The Mercury News in the Bay Area about 10 years ago. It’s the third best-selling pizza, along with cheese and pepperoni being first and second! Artisan style is the neutral Switzerland of the pizza world, or maybe the Haight-Ashbury. Bottom line: Anything goes as long as it’s good quality. Wood-fired or brick oven, thick crust or thin, and the toppings are only restricted by your taste buds and your imagination. According to Guinness World Records, the most expensive pizza belongs to Gordon Ramsay’s Maze Restaurant, at 100 euros (then $178) per slice. White truffle topping, anyone? I worked for a local pizza chain about a hundred years ago while in high school, so if you count that experience, 25-plus years. We’ve been making pizza at home for as long as I can remember, but as far as Heyday goes, we’re going into our seventh year with our current style. What makes a good artisan pizza? The overall experience: It must begin with the highest quality ingredients – but the menu description, table presentation, flavor combinations (sometimes unusual or specialty ingredients), interaction of textures and temperatures of the toppings, and a great crust all combine to produce a great pizza experience. Artisan pizzas are often well known for the creativity in their toppings. 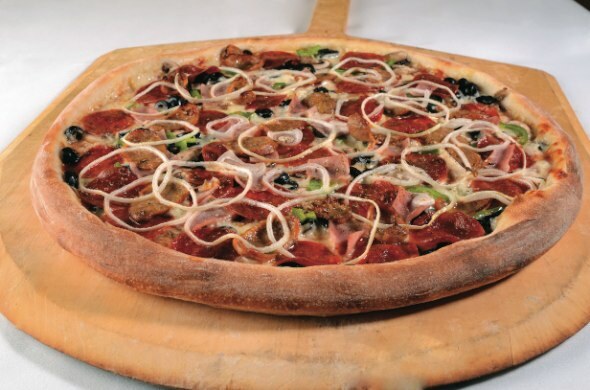 What are the most creative toppings you’ve come up with? Duck breast with balsamic dressing, Dungeness crab, salmon, egg, etc. (not all on the same pizza, of course!). Customer favorites include sliced fresh avocado on top of grilled chicken, gruyère, apple and caramelized onion, and pizzas that forego the traditional tomato-based sauce for our house-made dressings/sauces (Caesar, balsamic vinaigrette, chili oil, Sriracha, Thai peanut sauce, and more). 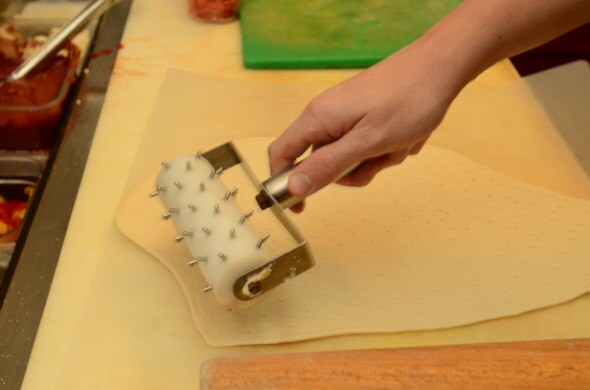 The crust should be crisp with a very slight crunch on the outside and pliable when you chew. The sauce should not be too runny (helps keep the crust crisp) and should stand up on its own but not overpower the rest of the flavors. 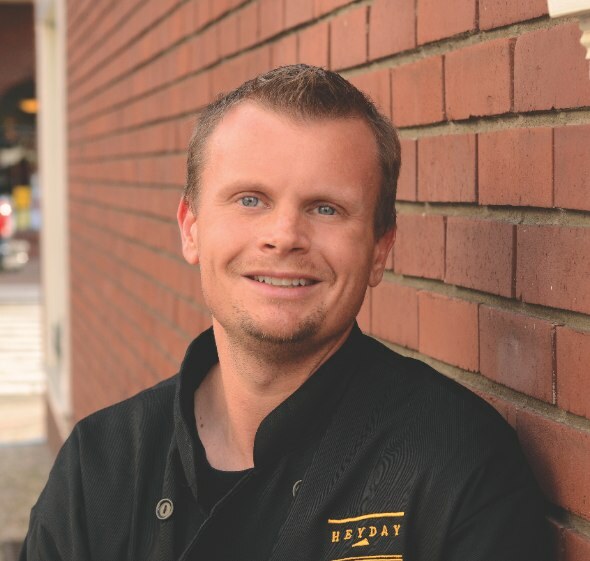 The ingredients on top, including the cheeses, must be fresh, of utmost quality and in appropriate quantity, so that the ingredients’ individual flavors and textures are not lost. As far as ovens go, typically the hotter the better, whether it’s placing a pizza stone on an outdoor BBQ, using a commercial convection oven, or a wood-fired brick oven. We don’t get hung up on do’s and don’ts. Experimentation often leads to innovation! I like pineapple on my pizza (with thinly sliced jalapeños), but my wife would never put pineapple on hers. If there were a pizza “don’t,” it could be the excess of heavy cheese; this overwhelms other flavors and textures. 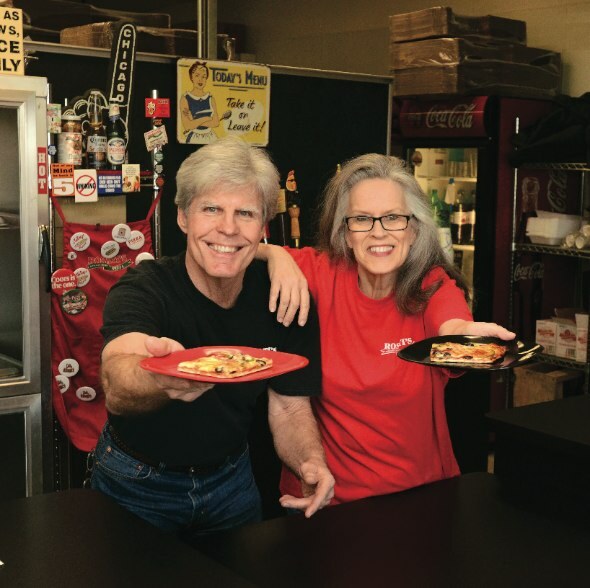 In addition to our featured restaurants, check out more of our go-to pizza parlors when the hankering for a quality pie hits.